Few days ago, I was elected to lead a coalition containing more than 30 NGOs and 10s of individuals working towards promoting and sustaining civil peace in Lebanon. The coalition is called “Wahdatouna Khalasouna” which means “Our Unity is Our Salvation”. As the name highlights, the focus of the coalition is bring together a plethora of non-profits, experts, activists and academicians to work on issues that might hinder or threaten civil peace in Lebanon. Our work as a coalition is to tackle the different themes that have an impact on civil peace including but not limited to: human equality, environment, armed conflicts, reconciliation and post-conflict peace building, youth employment and empower, women in leadership, media biases among others. The coalition is more than 7 years old and I’ve been a proud member since its inception. Back then, my own NGO, Aie Serve, was operating for almost 3 years and we believed that as a youth organization we have a stake in this matter and wanted our voices to be heard. So from joining the coalition as an NGO representative all the way to becoming a member of the steering committee in the last round of elections to recently becoming the General Coordinator of the coalition. IT’s been an interesting journey and for sure I’ve learned a lot from the previous leadership of the coalition and will continue to ask for their guidance and support throughout the upcoming years. So the journey starts this month in setting up the new strategy, framework and modus operandi for the future of the coalition and its projected impact on our society. For the time being, I invite you to check our Website and Facebook Page and bare with us while we update and relaunch them in the coming few months. The more I see companies, NGOs, associations and other organizations struggle to make sense of who’s doing what in the organization the more I become convinced that structuring is crucial. When I say structuring, many people directly imagine hierarchy, bureaucracy and lack of flexibility… yet that does not have to be the case. Organizational structures, if done well, will build on the expertise of individuals involved, the organizational capacity, needs and goals. These elements are the corner stone to building a successful organization that can secure sustainability and growth. 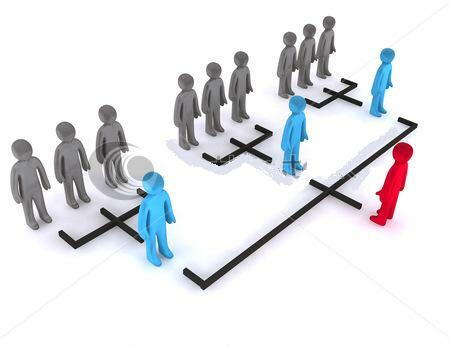 Who sets the organizational structure? Who decides when and how new positions/responsibilities are added to the structure? Is the organizational structure Functional, Projectized or Matrix? Does everyone know how their tasks fit with others’ tasks? Is there a promotion/growth plan for the organization? Does everyone know what is needed to do to move up the ladder? Does everyone see the big picture, the overall structure and the logic behind it? Is there a chance to solicit feedback about the structure from grassroots up? Did you research structures of organizations in your industry and learn from them? Surprisingly, most people know the answer of 2 or 3 of the above 10…and that’s when they realize they’re facing a problem with the organizational structure. The structure often seems so foggy as if it is coming from some alien planet, rather than being something that grew organically with the organization in a way to better manage its work…and reach its goals. Observe how the organization is functioning right now, see where the bottlenecks are, and the loop holes. Assess the performance of the whole organization by taking input of everyone possible, from senior management to interns to all other stakeholders. Ask yourself what other structures exist for your industry and how can you best learn from them. Focus on roles, responsibilities and tasks…not on the titles and positions, as they should come last after having set the structure. Make sure you have the right people in the right places, the Person-Role must match or they will already be sabotaging your organization. Resistance to change is normal, deal with it with utmost positivity and be as considerate and understand of other’s worries as possible or else you’ll lose their productivity. Give your structure a margin of change as it might need to evolve a bit from your original plan to accommodate to some personal and organizational needs. I hope the above gave you a better insight on creating organizational structures that work… I’m ready for all questions, suggestions and comments.